Here we try to answer some of the more common questions we get asked, and point you in the direction of resources for studying. If you need personal support or help you should contact your course coordinator or manager, or talk to your personal tutor. If you have safeguarding concerns please contact our safeguarding officer: Judith Brooks 020 7540 4934 | j.brooks@ymca.ac.uk. ymoodle is telling me it can't upload my larger pdf files. What should I do? I have problems using ymoodle on my phone or tablet. Some materials are also available in a kindle format. Adobe Reader is the main programme/app that students use to open pdfs. The full, computer version has some helpful features like the ability to have the text read to you (Read Aloud) and to change the background colour of texts. Click for more details of how to use Reader including how to get read aloud on your phone. Turnitin is an online resource that helps you to check your work before it is submitted. It shows you where you have used material from other sources (and what those sources are. This means that you can check you have referenced material – and so avoid plagiarism. It can also be used to check your work once it has been sent for marking. It is a requirement of the University that all assignments, projects and dissertations are put through Turnitin before they are sent for marking. The best place to start if you want to work on some basic grammar, spelling and punctuation at your own pace is the BBC Skillswise site. There are quizzes, fact sheets and printable worksheets. The same site has a link to “Webwise” courses on using the internet. Go to CCCU Student Support Services for guides on 30 topics including: reading strategies, punctuation, referencing, oral presentations etc. See, also, the 'Clinic' guide to writing essays. Try also the Studymore ABC Study Guide for study skills in plain English, alphabetically indexed, to all aspects of study at University and elsewhere. For lifelong learners everywhere. Caplits and click on “How to Start Writing”. The examples tend to be from essays at MA Level but advice is clearly written because it’s aimed at international students. Wikipedia. Free encyclopaedia, with entries in over 200 languages that anyone can edit. This means that entries are constantly updated, reflect diverse points of view and may be considered unreliable. However, anything you read should be considered unreliable until you have checked the status of their sources or expertise. The wikipedia policy on “Neutral Point of View” provides useful guidelines for presenting evidence in the way you may need to do in assignments. If you’re OK on the basics and can handle (or know where to look up) some grammatical terminology, try The Owl at Purdue. This site has good guides to grammar and different kinds of writing. The section on general academic writing includes topics like developing arguments or “Transitions” (sometimes referred to as “connectives” or ways to link up your sentences and paragraphs). We have also included below a guide to thinking and writing critically - this is particularly aimed at level 6 students but is useful for other levels. There are many different guides to research methods around – and we had a look at a lot of them before choosing some for you to consider. Take a look at some of the best. Supervision is central to most of our programmes. You will generally experience two forms - individually with another person, or in groups. Find out more about how they work. A handy guide to what markers look for and what you need to include. Check out our guide to referencing and preparing bibliographies. NYA Ethical conduct in youth work (reprinted 2004). Register with the CLD Standards Council: If you work or volunteer in Community Learning and Development you can apply for registration.The Register is open to all CLD practitioners who demonstrate the values, principles, competences, Code of Ethics and commitment to continuing professional learning that underpin the sector. At the moment registration is free. I-develop - learning for cld: I-develop is a framework for continuing professional development in community learning and development. It is a moodle system supported by CLD Scotland that allows to build portfolios and undertake professional development. 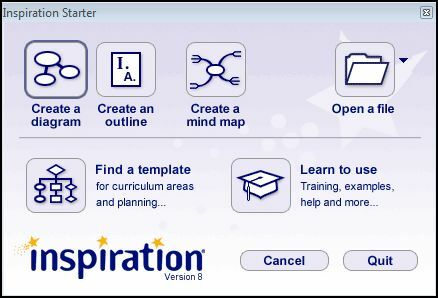 For those wanting to use Inspiration you can access a guide to the software - and look at a PowerPoint display which takes you through the basics. College policies including those relating to data protection, safeguarding and equal opportunities and diversities can be found in the resources area (at the top of the page) or by clicking here. These can also be accessed via the resources link at the top of the page or by clicking here.